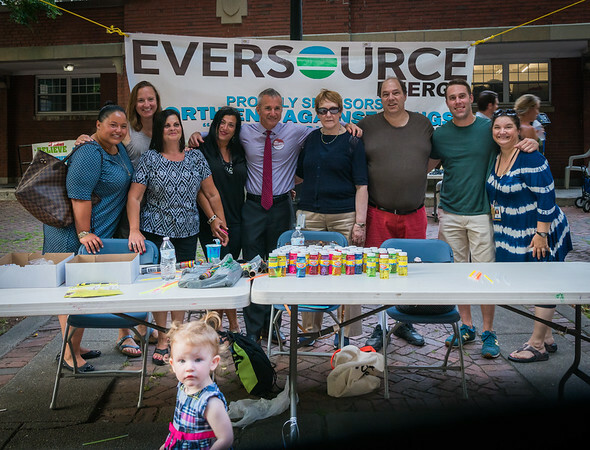 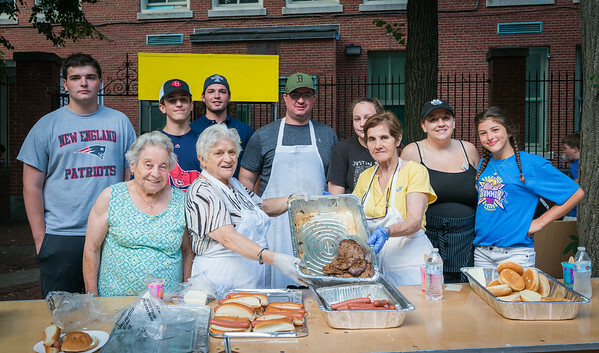 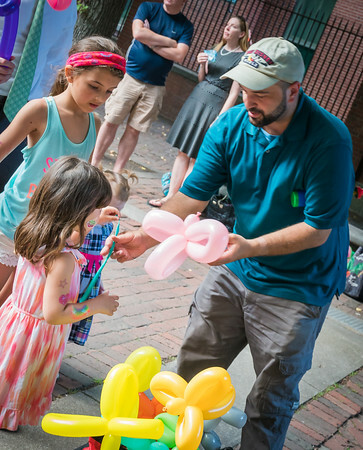 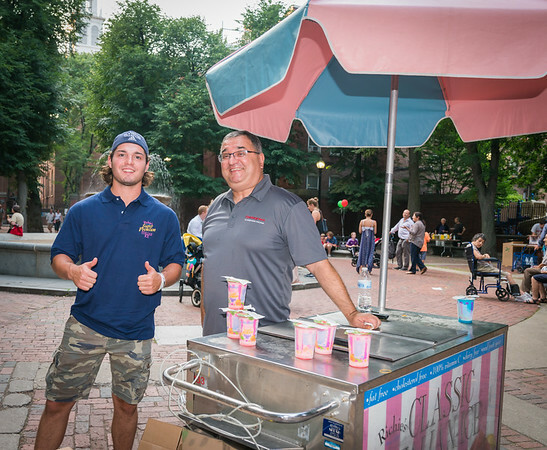 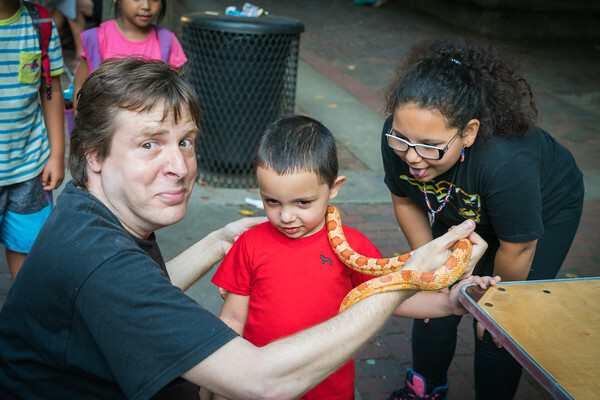 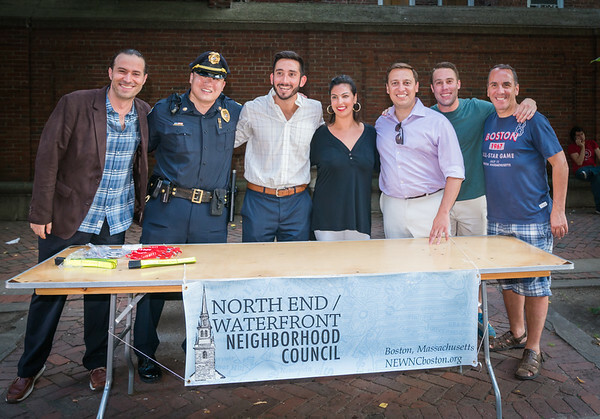 National Night Out 2017 brought out North End / Waterfront neighbors, Boston Police and local officials to the Prado (Paul Revere Mall) on Tuesday evening. 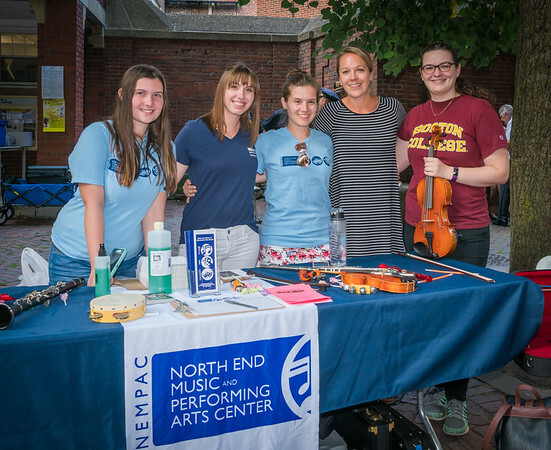 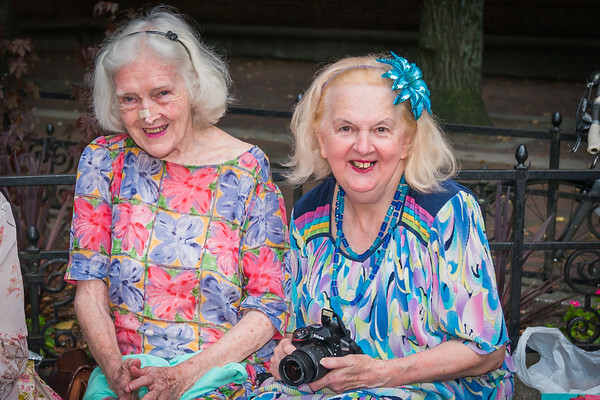 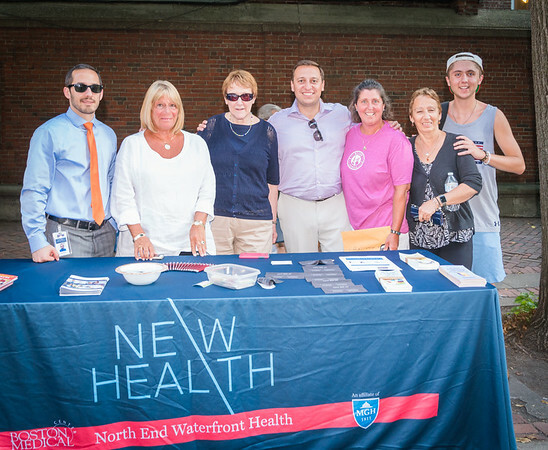 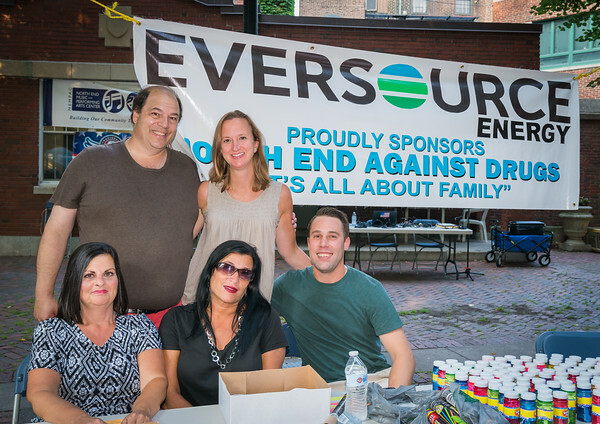 North End Against Drugs (NEAD) organized the celebration. 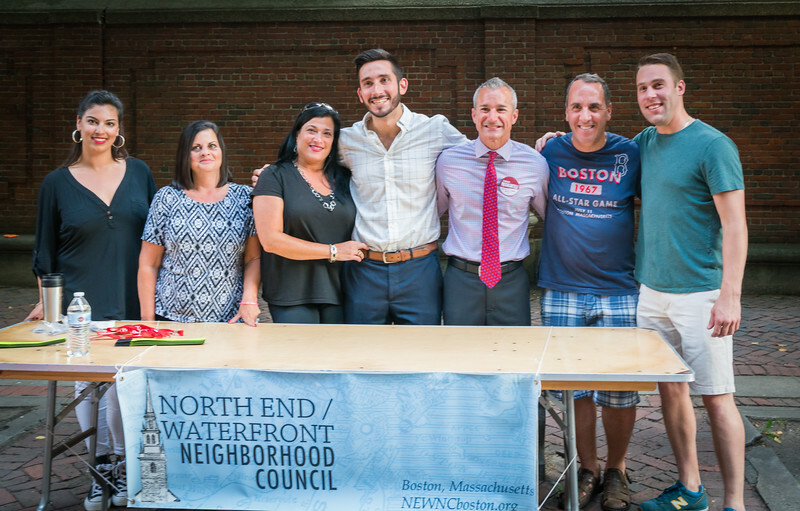 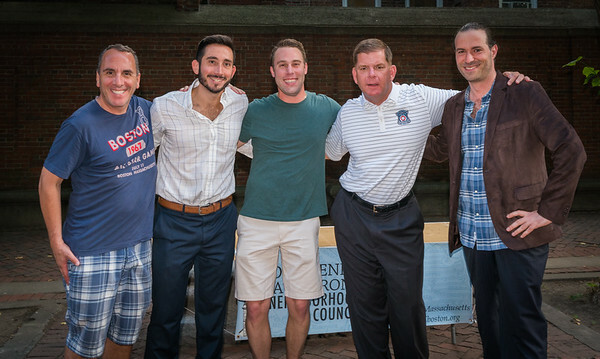 Held in cooperation with North End Family Pride Week, Mayor Marty Walsh spoke at the event, joined by Police Commissioner William Evans and many of his command from local District A-1. 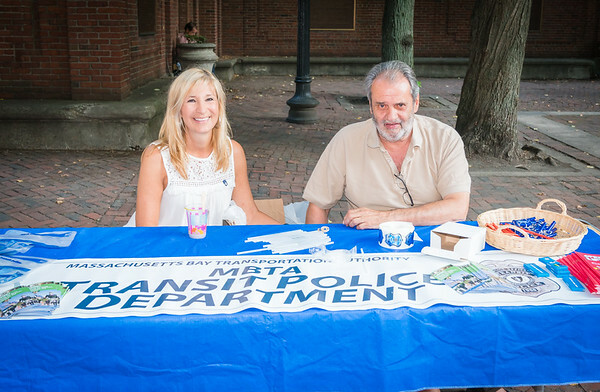 Your editor was honored to receive a community service plaque presented by District A-1 Captain Kenneth Fong as part of the event. 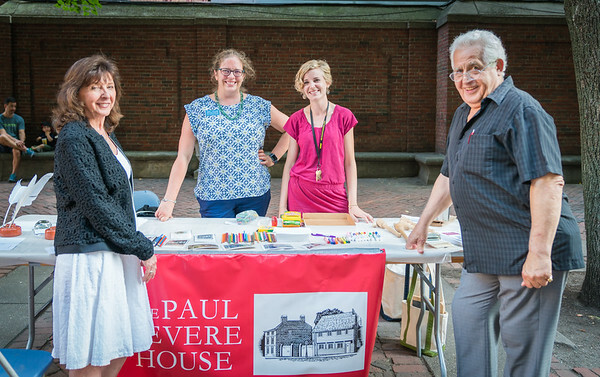 Many community groups and organizations setup tables in the Prado (Paul Revere Mall) for the party with free food and music by DJ Sal. 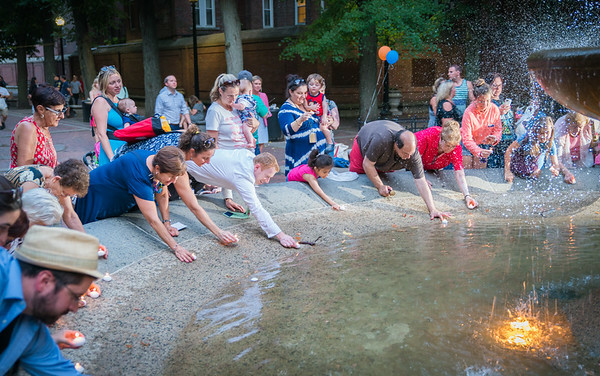 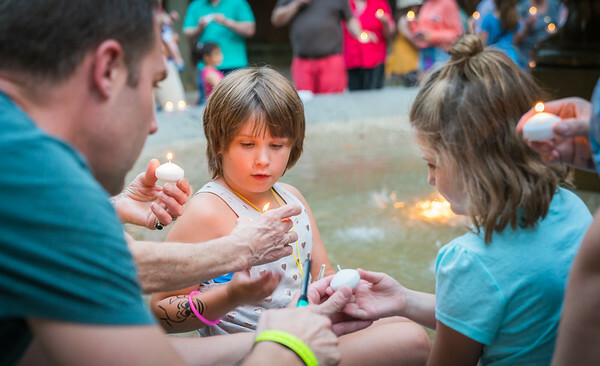 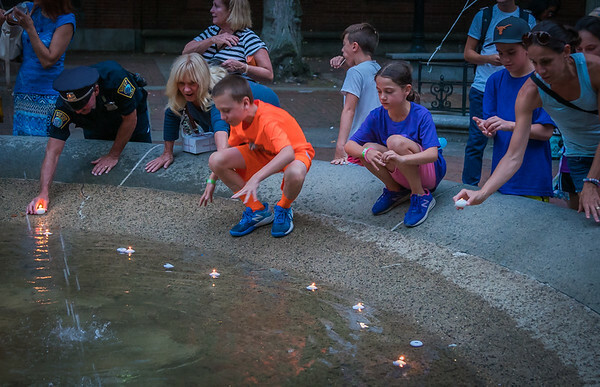 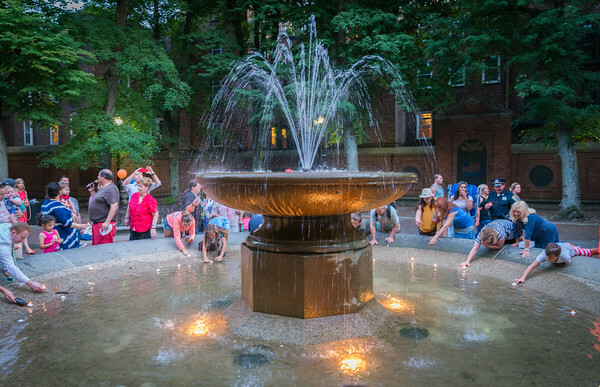 A traditional candle lighting ceremony capped off North End National Night Out at the Prado fountain. 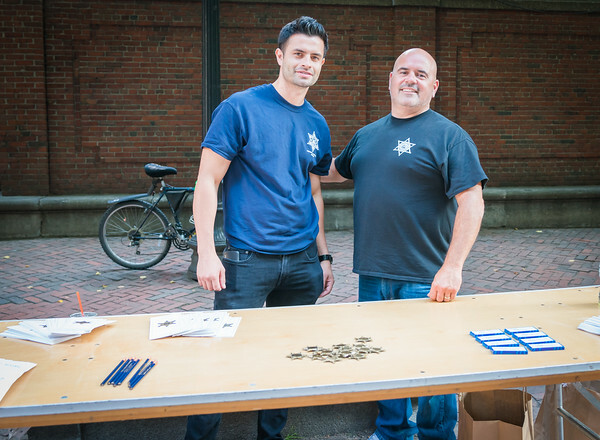 (L-R): NEAD President John Romano, Boston Police Commissioner William Evans, BPD Capt. 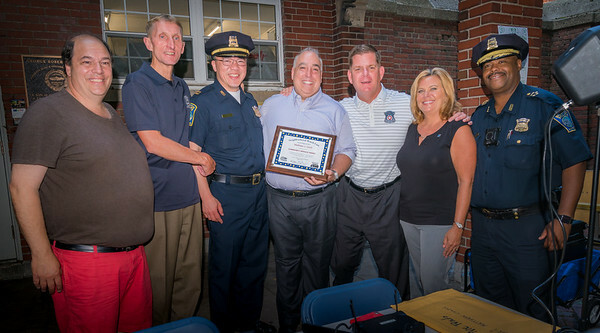 Kenneth Fong, Award Recipient Matt Conti, Mayor Martin Walsh, BPD Community Service staff Nancy Reno, and BPD Superintent Willie Gross.